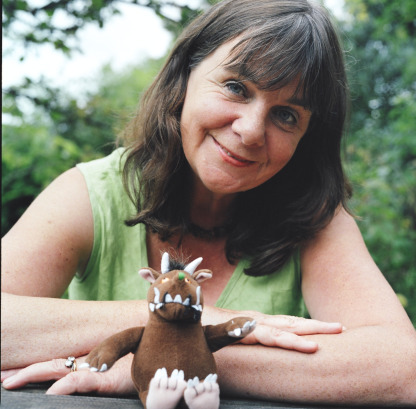 Our Author of the Month for January is…Julia Donaldson. She is probably most well known for her book, The Gruffalo, illustrated by Axel Scheffler. However, she has in fact written over 150 books! Julia was made the Children’s Laureate for 2011 – 2013 and we are delighted to announce that we have a wide range of her books available in the school library. So, try reading Monkey Puzzle, The Troll, Room on the Broom, The Snail and the Whale or any one of her other incredible books. Don’t forget to write a blog post and tell us what you think! Wow, I am sooooooo excited, Julia Donaldson is my favourite author! I absolutely love her book the Gruffalo, it is amazing! I always read it to every class I teach, Bumblebees loved hearing it during snack time on Monday. Everyone should read a Julia Donaldson book they are GREAT! I loved the book we read in assembly ‘The Snail and the Whale’ it was a story about the resilience of the tiny snail!The Gruffallo is an amazing story and the rhyming in it is funny and clever! I love The Gruffalo. I went to see it at the Pavilion in Bournemouth; I thought it was excellent. It is a book that is very good for any age – you are never too old for it! That author sounds great! I wish I could be like her! I think Julia Donaldson is a fantastic author; I have mainly discovered her due to the fact my little girl is two years old and really getting into books now! She was given ‘Room on the Broom’ a few months ago and loves it – I also enjoy reading it and especially putting on a scary voice for the dragon! So for Christmas, I bought her a new set of Julia Donaldson books – the Gruffalo, the Gruffalo’s Child and the Smartest Giant in Town. We have read all of them and she particularly likes George the Giant!